Which dinosaur had a head like a bull? Can our bodies attack themselves? Who invented the first telephone? What causes earthquakes? How does a star die? 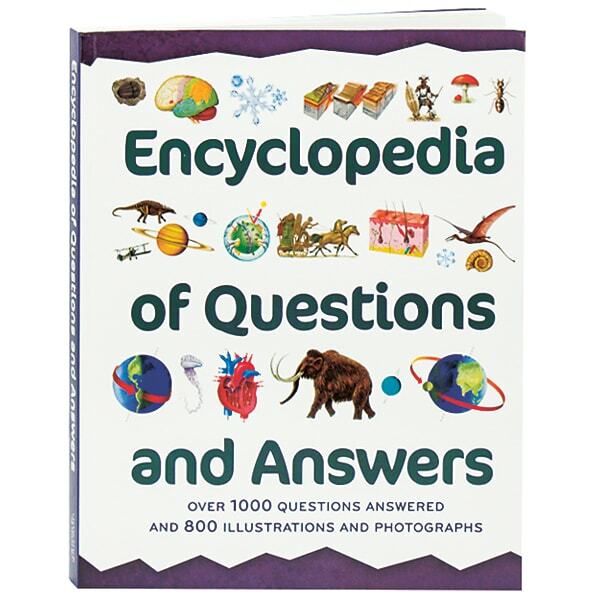 This heavily illustrated encyclopedia of general knowledge answers these and a thousand other questions in six main sections: Earth and Space, Science, Nature, Prehistoric Life, the Human Body, and History. Throughout the book, sidebars, fact boxes, and more than 800 captioned color photos, drawings, diagrams, and maps engage readers&apos; to 12 and provide additional information.